What if you knew in advance the money decisions you would face this year and next, and better yet… how to make the right choice? 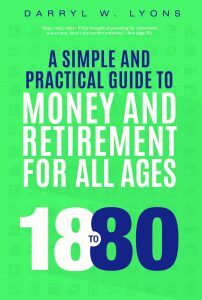 After working with thousands of folks over the past two decades with their money, Darryl has authored a book specifically designed as a money playbook for the middle class: 18 to 80: A simple and practical guide to money and retirement for all ages. It’s one of the few financial books endorsed by financial guru Dave Ramsey. Darryl Lyons has been busy creating books to help you tackle life’s everyday challenges. 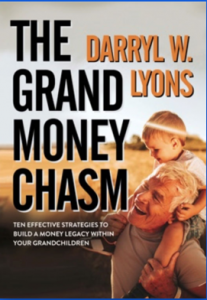 In his first book, The Grand Money Chasm, many grandparents may wonder how they can help their grandchildren learn good money habits. This guide shows grandparents how they can use practical ideas with their grandkids without ruffling any feathers.